It’s Monday! What Are You Reading? 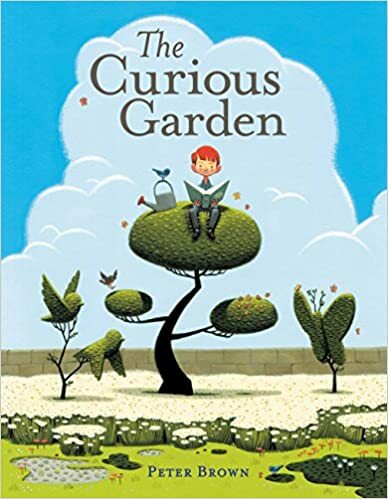 Celebrate Earth Day With Great Books! 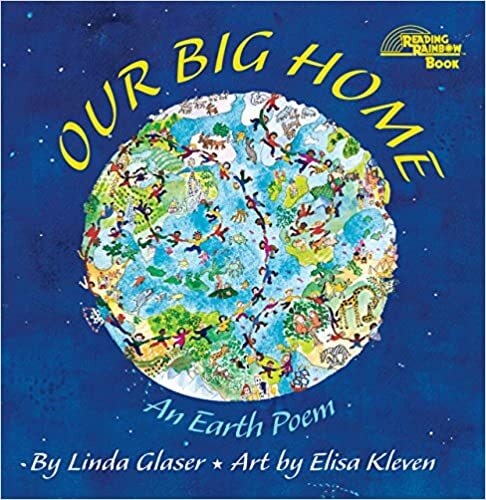 The week leading up to Earth Day is a great opportunity to share a range of wonderful picture books to help start conversations about the importance of doing our part to care for the earth. While there are dozens to choose from, I have tried to highlight some old classics, new releases, and inspiring true stories. WOW! This amazing new book is filled with stunning photography and lyrical rhythmic text – perfect for reading aloud. 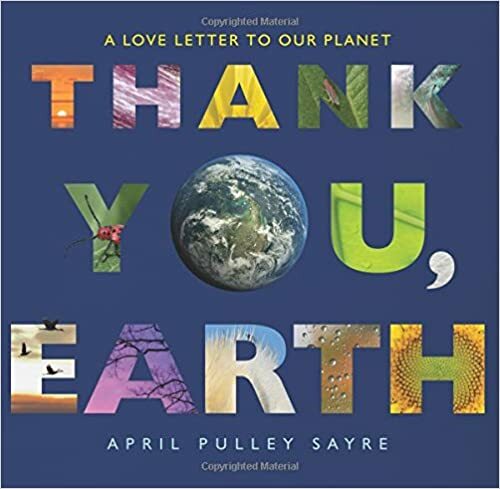 A “Thank you” letter to the earth, celebrating all of the wonderful creatures of natural wonders. The end notes provide suggestions for ways we can help the environment. I also appreciated the detailed notes about the photographs – which are truly breath-taking. Great anchor to inspire “Thank you, Earth” writing and poetry. 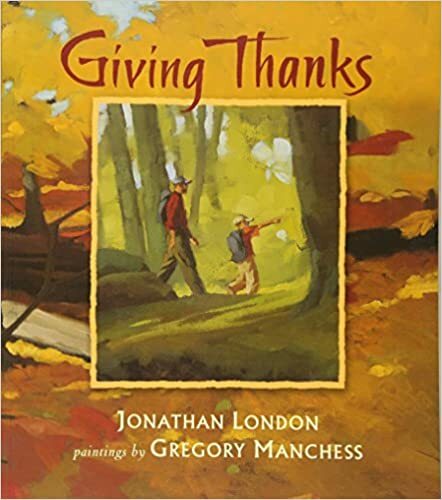 I love this book and have previously shared it at Thanksgiving. On a walk through the forest, a young boy learns from his father how to show gratitude for all the beauty he sees. His father thanks the earth, sky, frogs, crickets, hawk and deer, the trees and the mushrooms. The boy feels embarrassed by his father’s ritual of thanking everything he sees, but after trying it himself, realizes the power of gratitude. Gorgeous fall painting illustrations by Gregory Manchess. Beautiful and inspiring. 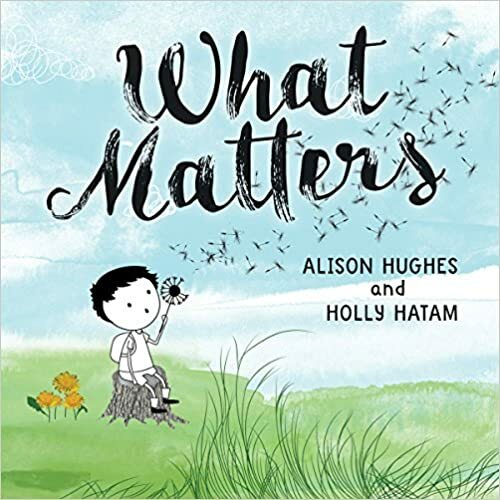 Not only could you use this book for Earth Day but also for acceptance and inclusion – no matter who you are, what race or culture you come from – we all share this world and are responsible for its care. 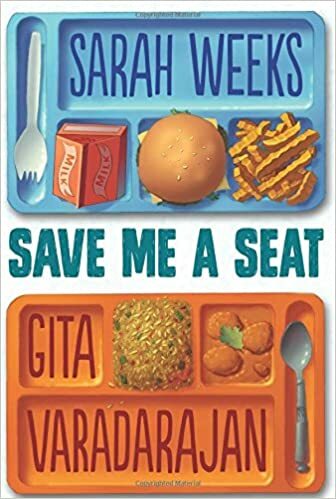 This book is filled with joy and a sense of wonder at this “home” all humans share. I think that one challenge of teaching about Earth Day is helping kids know practical ways they can take care of the earth, besides doing garbage duty at school. 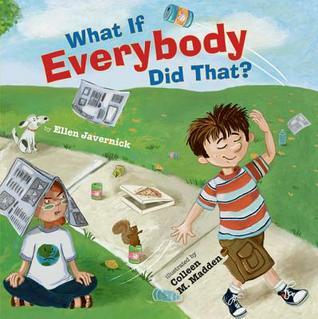 This book gives young readers clear examples of how they can help. From turning off the water while brushing their teeth, to using both sides of the paper while drawing, kids will enjoy learning simple ways they can care for the environment. I love the large size of this book, making it great for sharing. It’s visually appealing and cleverly designed with flaps and includes clear, simple language. 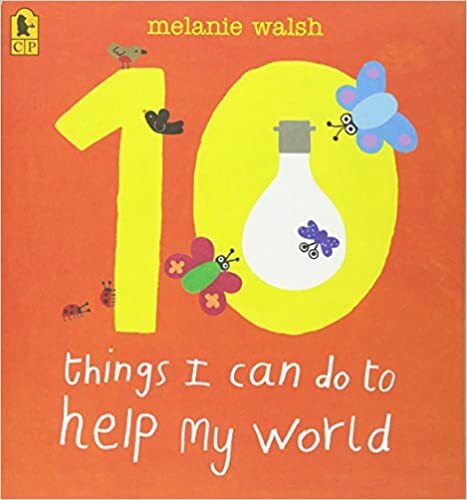 A companion to 10 Things I Can Do To Help My World, this book outlines through picture, simple sentences and colourful illustrations how we can all try to be more environmentally friendly in our every day activities. Hidden pictures, flaps to lift and holes makes this a fun book for sharing and reading. 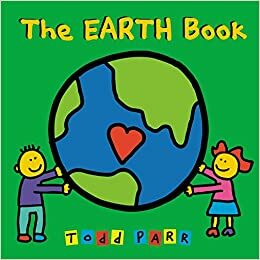 With simple language and his colorful signature illustrations, Todd Parr describes to young readers how they can do their part to help the environment. Great concrete examples showing how we can all do our part to make a difference. Use to inspire younger students create their own “Todd Parr” style Earth Day poster! 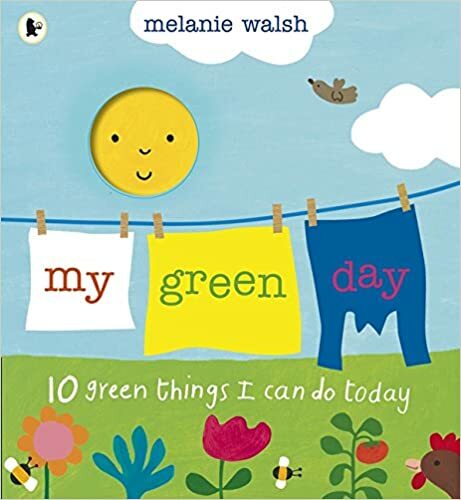 A young boy and girl explore all the different ways they can be Green over the course of a day. They discover lots of amazing facts (like our food travels an average of 1,500 miles to be on our plate!) 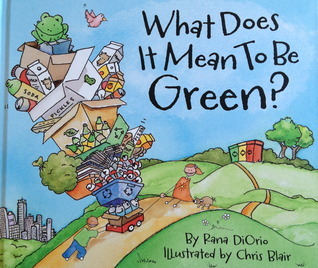 I like how DiOrio takes the buzzword “green” and explains it clearly to children, giving them lots of ideas for being “green” themselves. 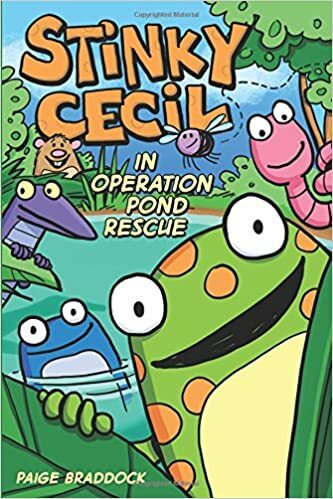 Great new book for Earth Day! This is a wonderful look at the ripple effect of how one small act – picking up garbage that isn’t yours – has repercussions to make the world cleaner and better. (Think Ordinary Mary’s Extraordinary Deed but for the earth!) I also think this book would be great for introducing the concept of the inter-connectedness of ecosystems. Liam is a curious boy living in a drab, gray city. One day, he finds a few dying plants growing through an old railroad track. Liam waters and prunes the plants until they grow into a lush garden that overtakes the entire city. By the end of the book, greenery covers the rooftops and pops up in the most unexpected places. 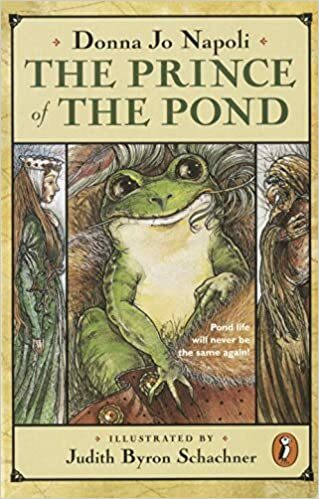 I LOVE this magical story and notice something new every time I read it. 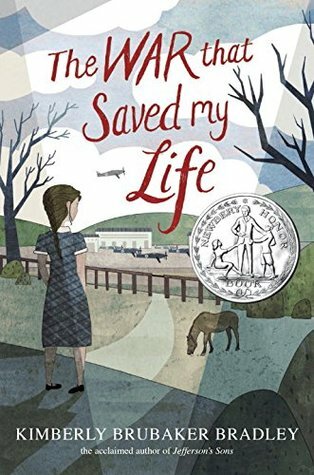 If you haven’t shared this with your class yet – it’s a MUST read! Way back in the 1960’s, long before “going green” was a mainstream concept, Dr. Seuss introduced young readers to the impacts of clear-cutting on the environment. 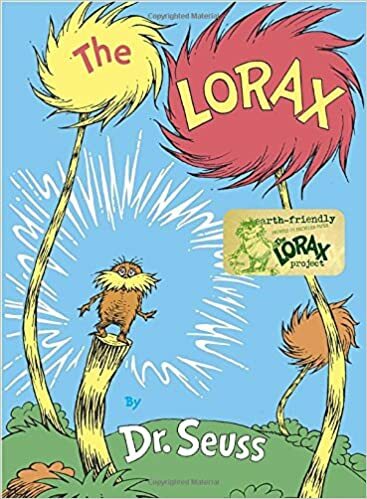 Written and illustrated in classic Dr. Seuss style, but this book focuses on more serious themes of consumerism, economics, deforestation, and the environment. 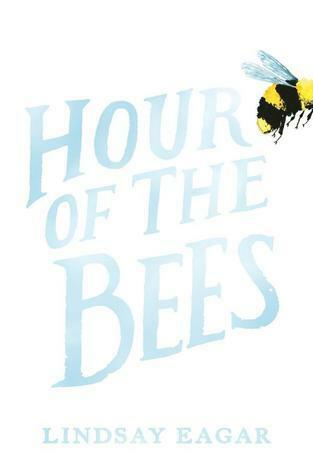 A great choice for older students that will stimulate some great discussions about environmental conservation. 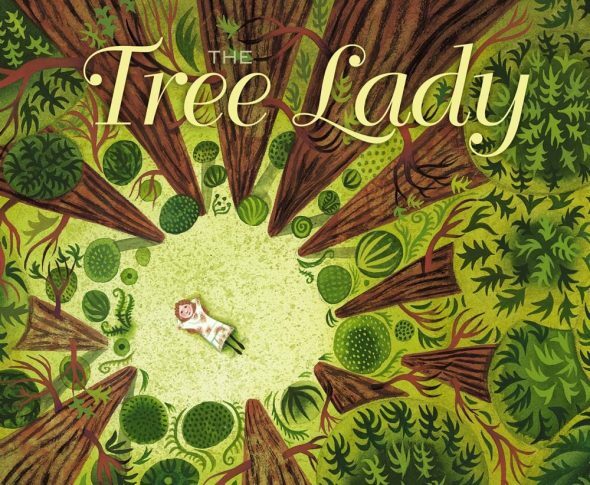 This is a beautiful picture book biography of Kate Sessions, the woman who transformed dry San Diego into a beautiful, tree-covered city. Lots of text-to-text connections to Miss Rumphius! A passionate, inspiring celebration of nature. Gorgeous illustrations. 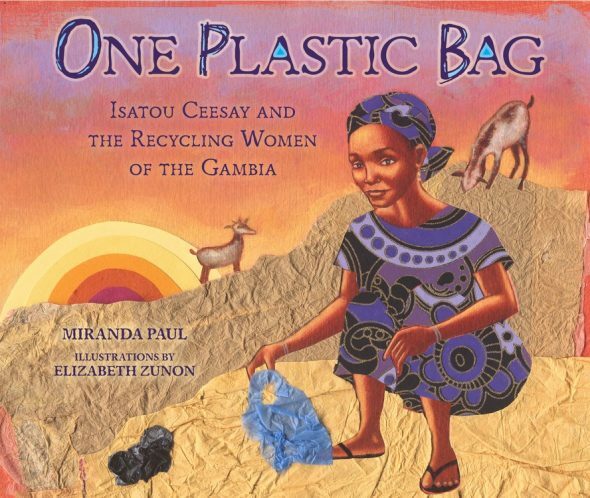 This is the true story of a Gambian woman who was troubled by the plastic garbage bags littering her community. Not only did the bags make an ugly mess, but they also caused illness and death among people and livestock. Isatou and other women cleaned the plastic bags and recycled them into plastic purses. Such a great book! 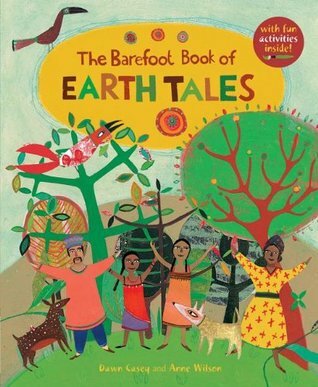 This is a gorgeous anthology of seven traditional tales from around the world, each one promoting a sustainable lifestyle and living green. 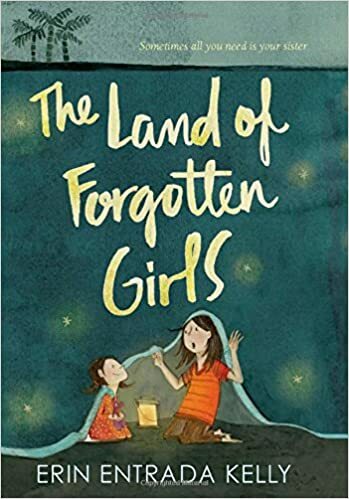 Readers learn about the ways that different cultures around the world try living in harmony with the rhythms and patterns of nature. 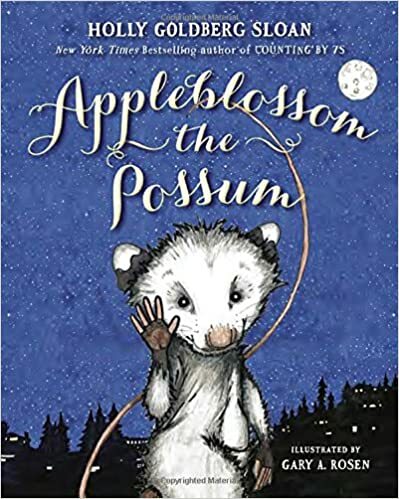 Included are suggested activities to go along with each story including creating a a song-line painting, cooking “anything-goes soup”, making a cornhusk doll, and growing your own tomatoes. Love the link of Earth day and cultural diversity. Thanks for stopping by! Happy Earth Day, everyone! It’s Monday! What Are You Reading? – More great books! 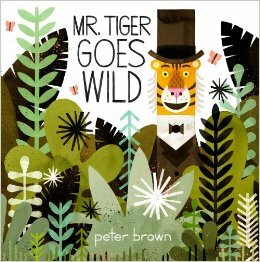 The book blogging community has been going “wild” about Mr. Tiger Goes Wild by Peter Brown so I was anxious to get my hands on a copy! This book is really all about letting loose and letting your inner “wild side” come out. Mr. Tiger lives in a very proper society and conforms to what is expected of him. One day, he decides to loosen up a little and walks on two legs instead of four. Despite the frowns of disapproval from those around him, he continues to let loose a little more each day, jumping from rooftops and even taking off his clothes! Eventually he is banished to the woods to be wild on his own. When he returns, he discovers the others have followed his lead and “loosened up” a little! 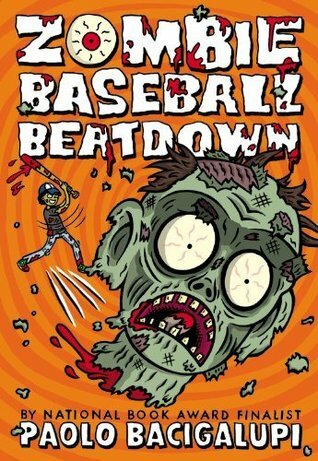 Great illustrations and lots of humor makes this a wonderful read. Great discussions about “getting wild” at the appropriate time and place. Up! Tall! and High! 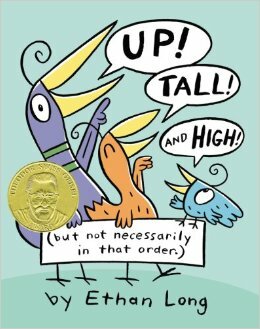 by Ethan Long is a hilarious introduction to the concepts of “up”, “tall” and “up” told in three separate short stories. The cast of bird characters in this book are hilarious and the lift the flap pages make for an even more appealing read. The bright, colorful illustrations remind me of Mo Willems. 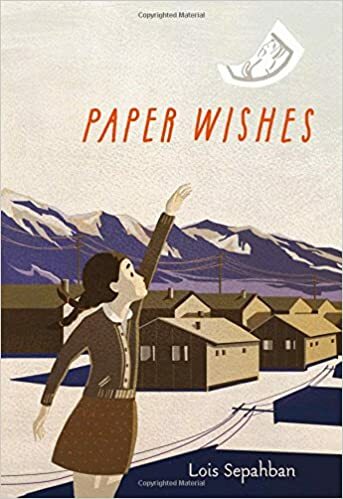 Great for Pre-K and K.
Diverse writer Linda Sue Park amazed many with her powerful novel last year A Long Walk to Water. 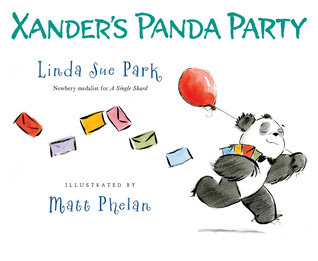 She has now released this delightful picture book Zander’s Panda Party which describes the challenges of planning a birthday party. The lyrical, rhyming text follows Xander as he tries to decide who to invite to the party. He starts with inviting all the pandas, then all the bears, then is informed by the Koala that she is not really a bear but a marsupial. Not only is this book a pleasure to read (some of the rhymes are rather unconventional!) but it’s a great introduction to different types of animals. 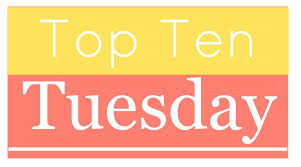 Top it off with the message of the importance of not wanting to leave anyone out – and you have a winner! Caldecott winner Philip Stead is inching higher and higher up on my “favorite author” scale. Everything he writes is heartfelt and his soft, whimsical illustrations add to tenderness to the text. Bear has a Story to Tell is one of my all time favorites and Home for Bird was a book I reviewed this summer. 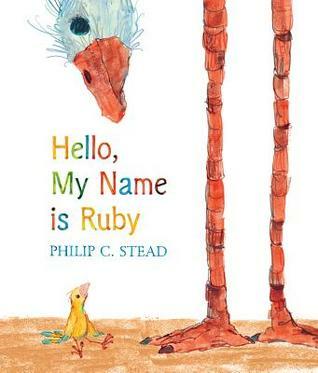 In his latest book, Hello, My Name is Ruby, Stead once again touches the heart with his words and pictures. Ruby is delightful – she is tiny, brave, curious and compassionate. 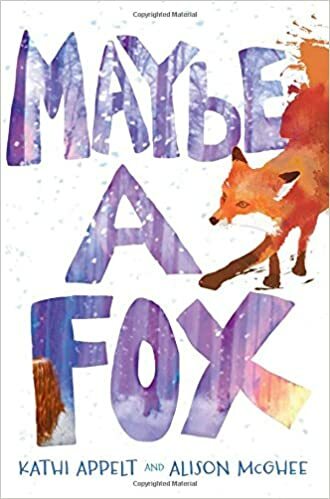 She attempts to find her place in the world by making friends, introducing herself to different animals and birds and asking them thoughtful questions in order to learn more about them. Could there be a better role model for children? I felt a true sadness when one of the birds did not want to be her friend. There is nothing not to love about this book. 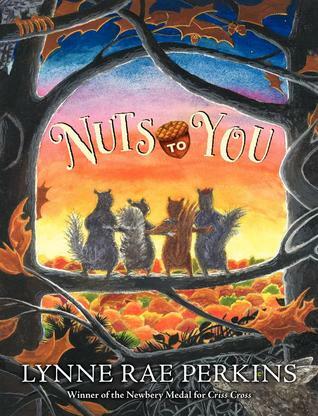 For all you Scaredy Squirrel fans out there – here’s the latest – just in time for Halloween! 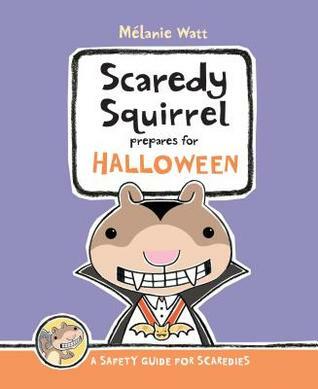 In Scaredy Squirrel Prepares for Halloween, Scaredy helps us plan for the spooky night – with everything from costume choices, making treats, pumpkin carving and safety tips! In his familiar overly anxious approach to everything, Scaredy uses lists, maps, diagrams, charts and webs (love those nonfiction text features!) to get ready for the spookiest night of the year! 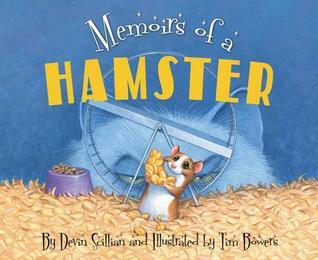 Memoirs of a Hamster by Devin Scillian is a follow up to Memoirs of a Goldfish (published in 2010). In a similar style as Diary of a Worm, this book is written in the voice of Seymour the Hamster. Seymour is at first content with his life and describes the coziness of his cage. But after a chat with a cat, he begins to feel he may be missing out on something beyond the confounds of his cage. Great anchor book for writing “in person” as an animal and for developing voice. I Want a Dog! 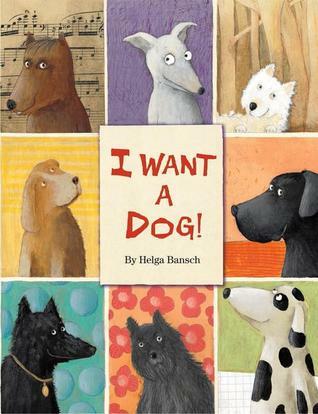 by Helga Bansch was published a few years ago but I came across it while searching for anchor books for persuasive writing lessons. There are several books with a theme of a child trying to convince their parents to buy them a pet. 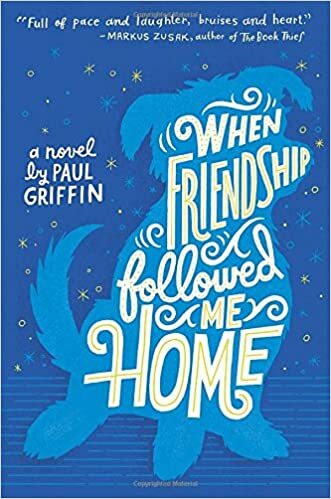 I was immediately drawn to this book by the cover – and the delightful images of different breeds of dogs. Lisa desperately wants a dog but her parents don’t feel it realistic as they live in an apartment. Lisa tries many different persuasive tactics to change her parents mind, but with no luck. In the end, she doesn’t give up and comes up with a creative plan to solve her dog desire! Great for predicting, problem solving and to introduce persuasion. 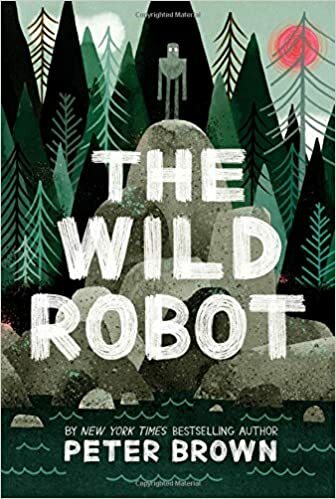 I have a huge author crush on Chris Raschka. Ever since his Yo! Yes! 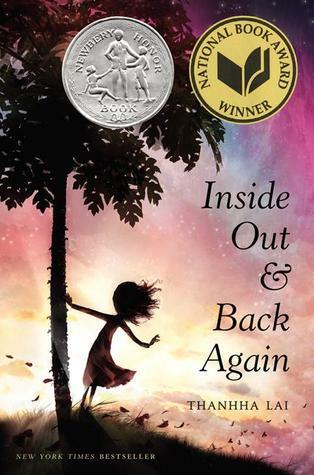 book topped my Infer book list – I have been using his books to teach inferring and questioning. 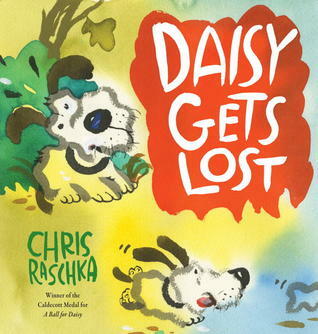 Chris Raschka won the Caldecott award in 2010 for A Ball for Daisy. 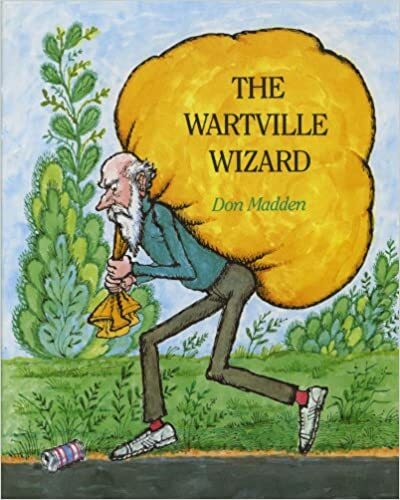 As with many of his books, it was a perfect wordless picture book for practicing inferring with younger students. 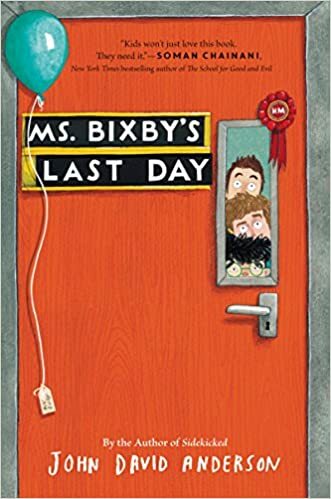 I had many Daisy fans in my class so I know there will be much excitement when they see Daisy in a new adventure in the book Daisy Gets Lost. 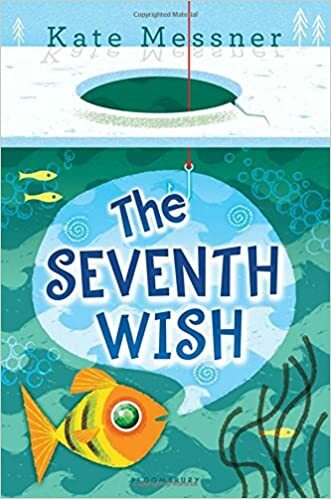 I’m not sure how he does it, but Chris Raschka always manages to capture emotion with his swirly impressionistic illustrations and this book is no exception. Daisy chases a squirrel at the park and suddenly finds herself in unfamiliar territory – and we can see the fear on her cute little face. 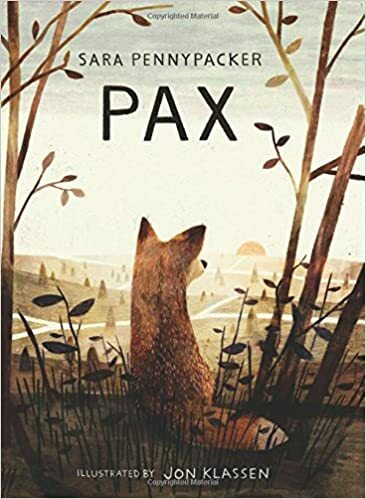 A great book for making connections to feeling lost and afraid. I adore anything Georgia Heard writes. I have likely used For the Good of the Earth and Sun for teaching poetry more than any other professional resource. I am starting a poetry unit with a grade 6 class this term so have been gathering poetry books from my collection. 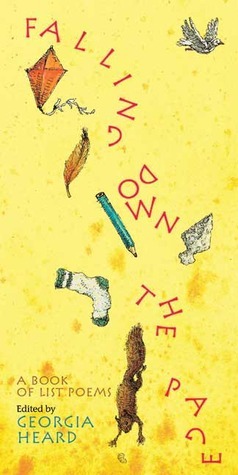 Amongst many amazing poetry anthologies and collections, I rediscovered Falling Down the Page, Georgia Heard’s amazing collection of list poems by contemporary poets (including Eileen Spinelli and Avis Harley – who was my teacher for one of my poetry classes at UBC many years ago!) I sat and read through the every poem and marveled at how a simple list can tell so much. 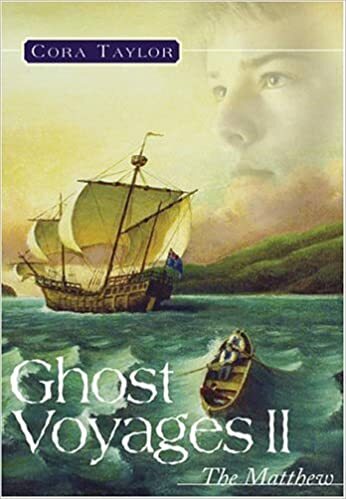 A great anchor book for writing list poems! I am in the middle of reading two amazing novels. 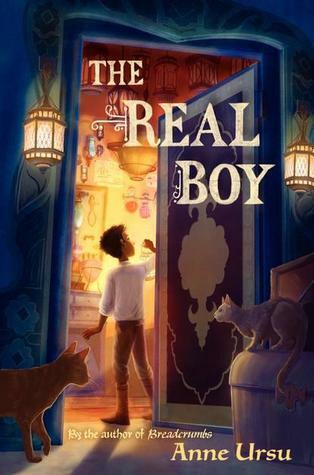 First – is The Real Boy by Anne Ursu – a magical adventure. 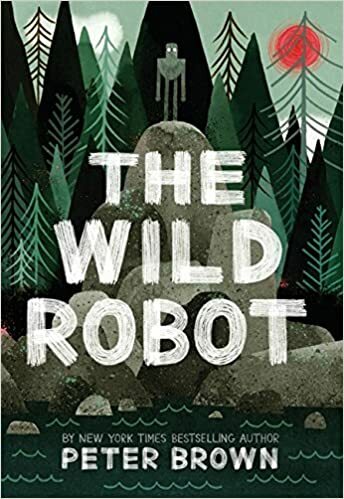 (You can read a great review of this book by Linda Urban posted in Nerdy Book Club ) So far, I am LOVING this book. I adore Oscar, the main character, and the writing is wonderful. Oscar is an orphan who works for a magician, gathering herbs and helping to prepare his potions. He is quite content in his life until things start to suddenly change in the town when everyone starts to get sick and Caleb, the magician, is no longer around. I have just met Callie, a girl who is going to help Oscar. I can’t wait to find out what happens. 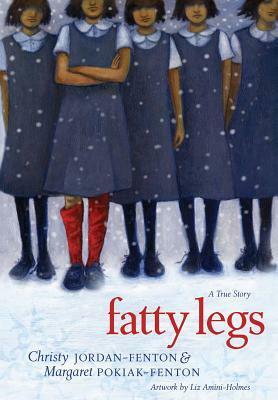 I think this will be a GREAT read-aloud to grades 4-6! 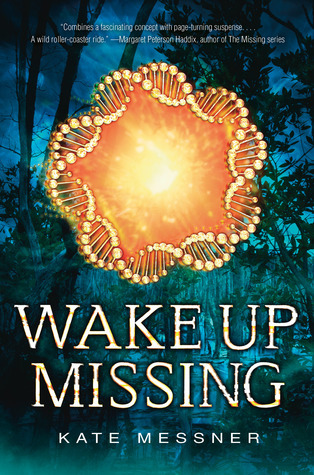 I am a huge Kate Messner fan and follower and first learned about her latest book Wake Up Missing when she wrote about it on her website just before its release date on September 10th. 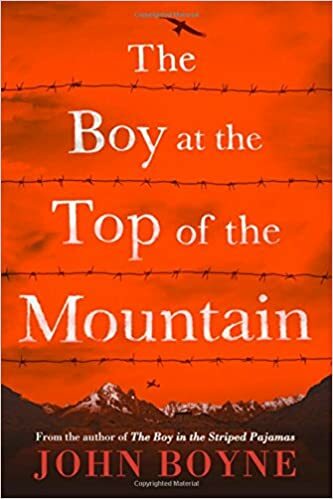 I have not finished this book yet but not because I don’t have time – but because I don’t want it to end! All I can say is WOW! 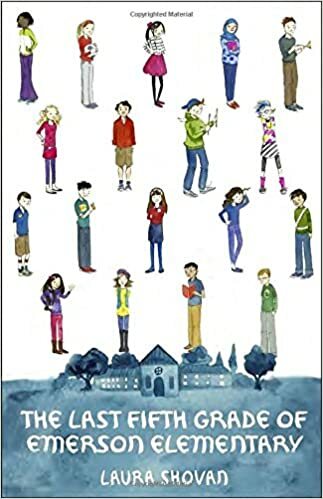 Four teens – a hockey star, a football star, a horse lover and a bird watcher – all meet when they arrive at an elite Brain Science center in Florida. The four have nothing in common – except they have all experienced head injuries and have gone to the center for some concussion testing. (Being a mom of two boys who play hockey, I make a lot of connections to the concussion discussion!) But after a while at the center, the four begin to suspect that there is more to these “tests” – and they begin to suspect they are part of some strange experiment that may steal their identities. How exciting does this sound? SO EXCITING! My son wants to read this but I’m not letting him until I finish it and find out how they escape! 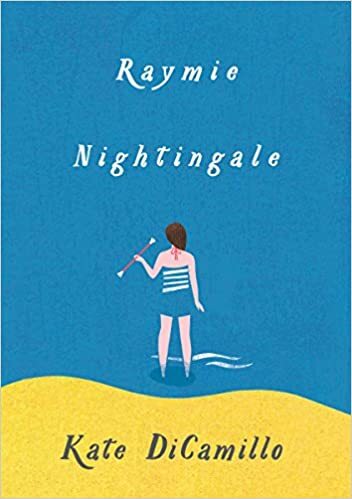 I have been inspired by reading other IMWAYR posts and particularly Holly Mueller of Reading, Teaching and Learning, who always includes non-teaching books she and her family are reading. I’m blessed to part of a wonderful book club that meets once a month. (And yes, we DO read and discuss the books!) So I’ve decided to share my book club books each month. 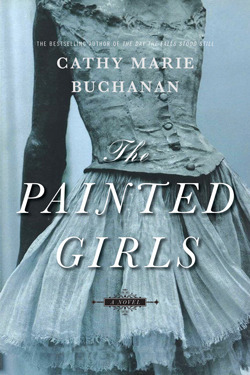 This month, we are reading The Painted Girls by Cathy Marie Buchanan. 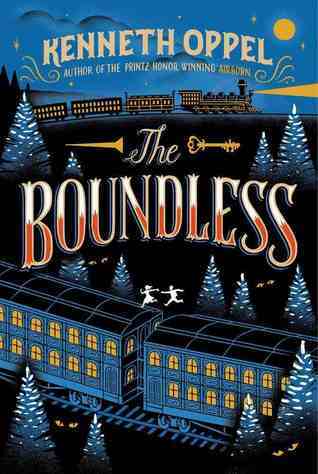 This historical novel is set in Paris in 1856 and is the story of two sisters whose lives are upended when their father is murdered. This is the story of one of the girls who becomes a model for artist Edward Degas, while her family struggles to survive. I have not read too far into it yet, but certainly getting a different perspective on the artist Degas! Well, there you have my latest reads of the week. What have you been reading lately?